Special addition Reusch Re Load design. S1 Supersoft foam, breathable, optimal catching zone at a sale price. This soccer goalie glove features a Super Soft latex backing material. Embossed foam design makes the glove more flexible at many breakpoints. 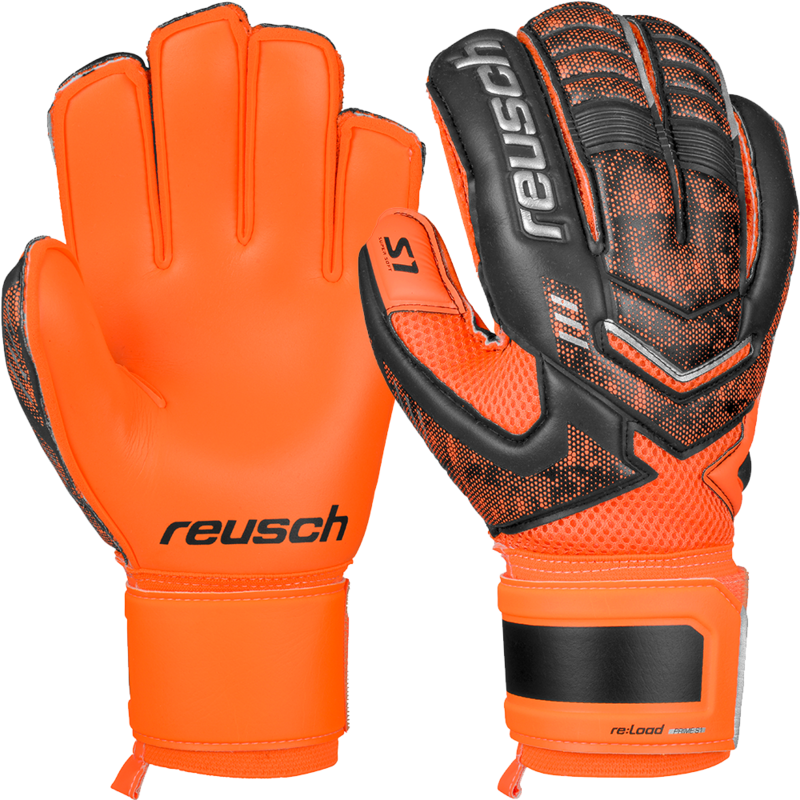 Reusch's Expanse Cut ESS (Ergonomic Support System) uses a pattern that helps the fingers to be pre splayed, which helps youth goalkeepers catch the ball using the correct technique. It has a deeper thumb notch on the face of the glove that includes and elasticized piece below the foam to help eliminate tear out and mesh gussets for breathability. This glove also features Reusch's Thumbflex technology for extra comfort and support. is as expected and shipment arrived in time. Very good service at Keeperstop.